Meet Cindy! The newest contributing blogger for PWC Moms! My name is Cindy Santa Ana, and I’m not normal! My kids have never eaten at McDonald’s, you won’t find any processed food in my house, I recently lost 33 pounds and dropped 2 dress sizes and I am single-handedly curing an auto-immune disease! How, you ask? By eating clean, whole foods and exercising. This once pop-tart eating momma has discovered a whole new world of cooking, gardening, and canning, and hopes to inspire others to do the same. 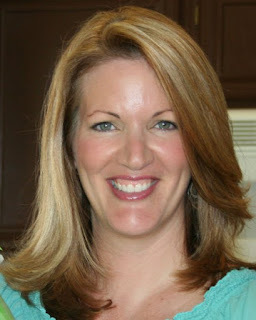 Cindy blogs regularly at ProcessedLiving, but you’ll be able to get her great tips and tricks for a healthier, happier 2012 here at PWC Moms, too! Be sure to join us tomorrow morning for Cindy’s first blog post! Are you interested in blogging for PWC Moms? We’d love to hear your ideas for a guest spot! Just email us with your ideas and how often you’re interested in posting, and we’ll get started!